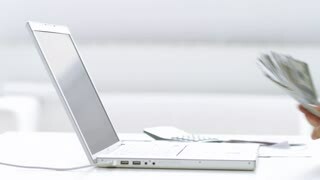 Hands of businessman open wallet. Man holds a banknote. The lucky dollar. Running out of cash. Euro banknotes fall in open female hands. US dollar banknotes fall in open female hands. Hands opening case with dollars. 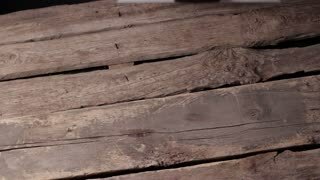 Businessman opens suitcase with money. You have a good share. Money can buy everything. Hands of man counting dollars. Businessman with cash. Money is the motivation. Hands of man counting cash. 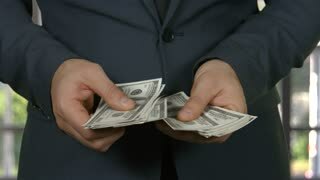 Businessman putting dollars into pocket. 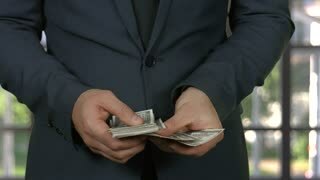 Hand of businessman holding dollar. Wallet of black color. Waiting for payday. Very close to trouble. Hand holds one dollar bill. 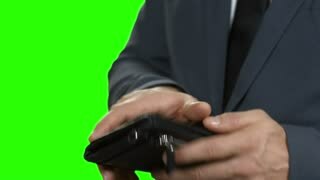 Businessman opens a wallet. Income has dropped significantly. Period of crisis. Businessman holds one dollar bill. Male hand opens wallet. Difficulties with money. Extremely low income. 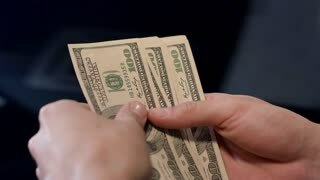 Hand of businessman holds dollar. Wallet on sky background. Trouble came suddenly. One week before salary.